As we jump full-force into the spring season, fashionistas everywhere are beginning to break out in this upcoming season’s biggest trends: gingham and trouser pantsuits. 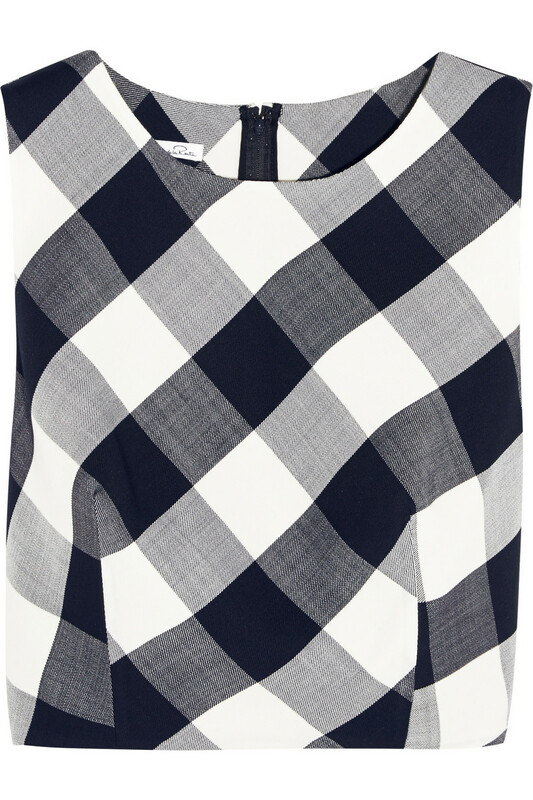 Gingham is the print of 2015. 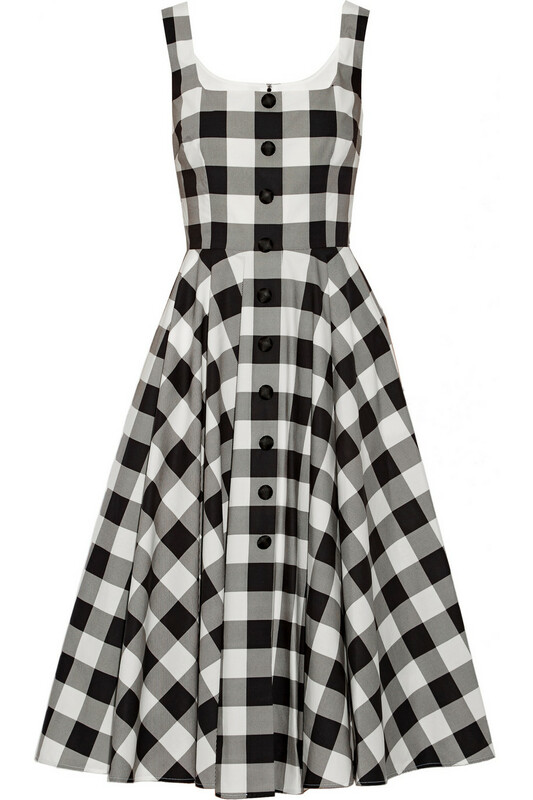 It brings us back to the 50s and 60s where the classic looks were fun and eye-catching, and the little checkers were the most feminine of prints. Women of all ages wore gingham for beach days and high tea; today, too, women are seen wearing gingham for all occasions. The print is sophisticated and youthful at the same time, and it just always looks sharp. A woman exhibits elegance when strutting down the sidewalk with those powerful tiny boxes covering her outfit. Models at fashion weeks all over the globe were dressed in the classic print, some even in head-to-toe gingham. The print is found in small and large patterns and colors ranging from blues to pinks to yellows – something to match every outfit. On the runway, models were found wearing one black gingham piece paired with solid black pieces, or a mix of colored gingham pieces head-to-toe. Dolce & Gabbana, Oscar de la Renta, Chloé and other top designers introduced gingham into their spring lines and they are nothing short of fabulous. 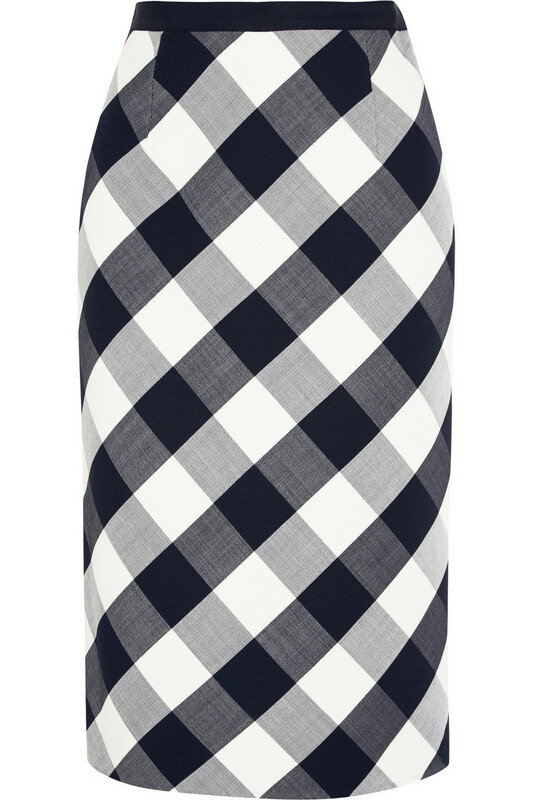 Women love gingham because it is so feminine. It is something that makes us feel as though we are traveling back in time and get to pretend we are Jane Fonda circa 1965, something every fashionista would die for. Take us back to the same time period and women were wearing the famous pantsuit brilliantly. The perfect mix between feminine and masculine, the trouser pantsuit has become very popular this season. There are no more bulky shoulder pads and boxy styles, so say hello to the new tailored and sleek pantsuits of today’s generation. Each season, women are finding the opportunity to feel comfortable in any outfit. From sneakers, to trendy tees and pullovers, women are showing the necessity to be cute and comfy at the same time. The workplace is no different; the pantsuit allows women to no longer have to worry about crossing their legs without showing anything, or not even being able to cross their legs in a skirt or dress. These trends will be seen all over the world this season. They are timeless trends that you can wear anytime, any place.